Ciders and Sours are some of the most loved beverages in the universe and the route to all things magnificent. Add in some live Bluegrass, delicious food, gorgeous Breckenridge mountain views and great friends…….you have an irresistible recipe for making magic! These indulgences all come together for the 3rd Annual Breckenridge Strings, Ciders & Sours on Saturday, September 28th, 2019. Hosted by Rocky Mountain Events, LLC. Be sure and check out all of our festivals and events @ Rocky Mountain Events. Ciders and Sours lovers come together to taste their way through a wide array of samples from local and national Craft Breweries while boogying to some great bluegrass music from our beloved Buffalo Commons (Steamboat Springs, CO) all under the majestic mountains of Breckenridge! Guests will receive a commemorative tasting glass, access to the live music, entertainment and festival activities, and a chance to taste and explore their way through an assortment of ciders and sours while learning from the Brewery Ambassadors. Festival food from local vendors will be available for purchase “a la carte” throughout both Plazas. We know you will be hooked and will keep coming back for more! Register for one or more 3 hour shift on our volunteer signup form. All volunteers receive admission to the festival before or after the volunteer shift. 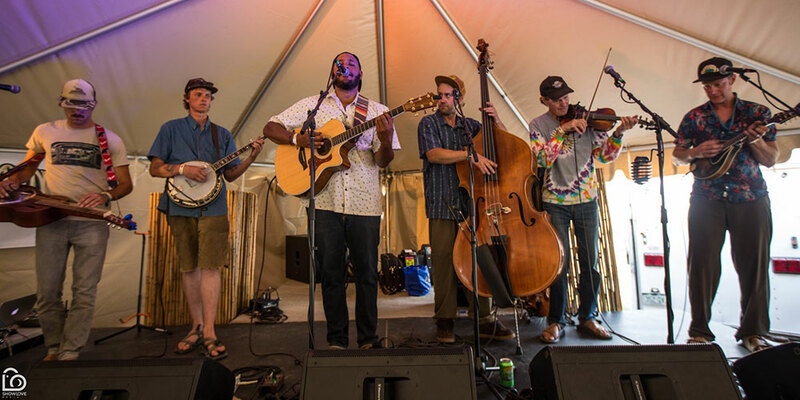 Buffalo Commons is a collaboration of friends from Steamboat Springs, CO who enjoy fishing and floating rivers together as much as they do playing and writing songs together. The bond they share off stage comes across in the music, and is felt by everyone through the energy of their live performances. One can’t help but be captivated by singer/songwriter and guitarist Ty Woods’ soulful yet powerful voice. Band Members Colby Smith on mandolin, Fritz Boniface on dobro, Randy Kelly on fiddle, and Denton Turner on upright bass provide a full body of sound to match the emotion and intensity of Ty’s vocals. 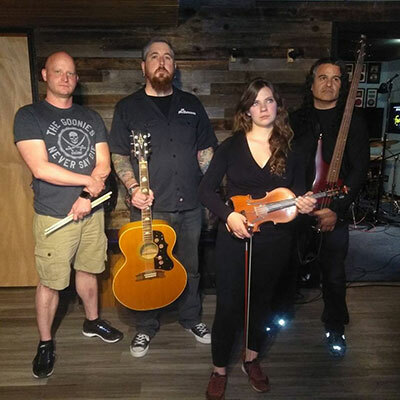 Focused on writing original music with well thought out compositions and arrangements, the band works hard to stand out as a unique sound in acoustic music. Buffalo Commons’ songs will pull at your heartstrings in every way and may make you want to laugh, dance, cry, and rejoice all in one show. A Celtic pub rock from the windows to the walls! Based out of Colorado Springs, this band brings classic Irish Rock and Celtic sounds to the heart of Colorado. Ciders & Sours Lovers – Every fantastic festival begins with a memorable experience, and for us, it’s food that tells a story. Taste the deep flavors and aromas that make ciders, sours and cuisine so special. We will welcome our Sponsor – Breckenridge Brewery to provide insights into the brewing process and flavor creation while the Chef shares the food pairing inspirations. Reservations are REQUIRED as dinner will sell out! No refunds or exchanges. Doors open at 6:30pm with dinner service at 7:00pm. Cider & Sours lovers – You will enjoy live bluegrass and will receive a commemorative glass and unlimited cider and sour samples. Festival food is not included and available for purchase a la carte. No refunds or exchanges. Ciders & Sours Lovers – You are a valued VIP! This ticket includes exclusive access to VIP Hospitality Lounge from (12:30pm – 5:00pm) and early access to the Grand Tasting at 1:00. Awaken your taste buds at our Cider & Sours Welcome Reception at 12:30pm fuel up on some tasty food to start your day. You will receive a commemorative glass to sample through the Brewery selections at the Grand Tasting while boogying to live bluegrass with your friends. Festival food from local vendors is available for purchase throughout both Plazas and is not included in your ticket price. No refunds or exchanges. Close out this amazing festival weekend with an amazing Brunch Buffet and beverages! No refunds or exchanges. Cider & Sours Lovers – This is the BEST VALUE! This ticket includes VIP access to the festival’s weekend events. No refunds or exchanges. Your friends appreciate you being their Designated Driver and so do we! Free admission to the event for festival food, live music and an overall good time with friends. Thanks! Spend the weekend on site during the Breckenridge Strings, Ciders & Sours! Wyndham Vacation Rentals is offering lodging packages up to 25% off for guests of Strings, Ciders & Sours. Thank you to our sponsors: Main Street Station Plaza, The Village at Breckenridge, Wyndham Vacation Rentals, Hyatt Residence Club, Breckenridge Brewery, Breckenridge Grand Vacations and the Merchants of Main Street Station.